New York: Harcourt, Brace and Company, 1946. First edition of the author’s Pulitzer Prize-winning work. Review copy with the slip tipped in the front free endpaper. Octavo, original cloth. 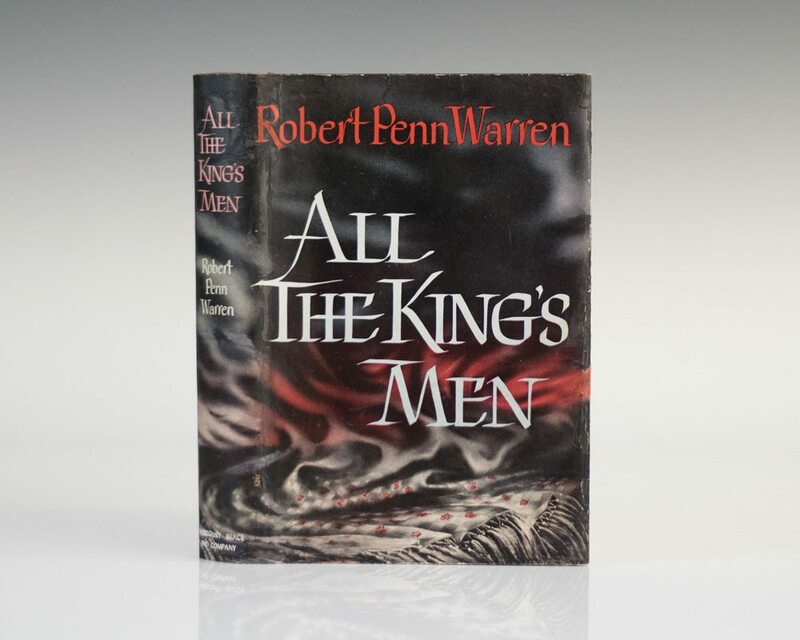 Signed by Robert Penn Warren on the title page. From the library of Donald Drapkin, with his bookplate on the front pastedown. Some rubbing to the bottom cloth, an excellent example in the first issue dust jacket with light professional restoration. Housed in an elaborate custom half morocco clamshell box. Set in the 1930s, "All The King's Men" traces the rise and fall of Willie Stark, who resembles the real-life Huey "Kingfish" Long of Louisiana. Stark begins his political career as an idealistic man of the people but soon becomes corrupted by success. Generally considered the finest novel ever written on American politics. Basis for the 1949 film starring Broderick Crawford and the 2006 remake with Sean Penn, Jude Law and Kate Winslet. 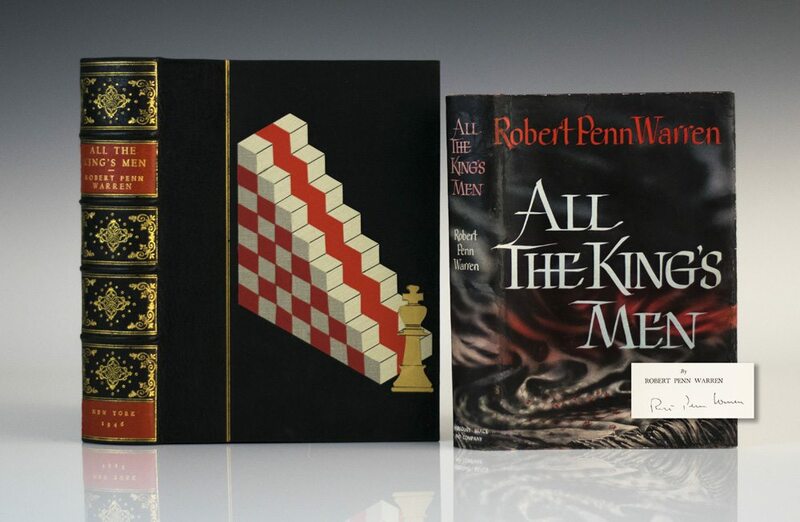 Named by Modern Library as one the 100 greatest novels of the twentieth century. First edition of the author’s Pulitzer Prize-winning work. Octavo, original cloth. Signed by Robert Penn Warren on the front free end paper. Light wear to the extremities, near fine in an excellent first issue dust jacket with light wear to the crown and foot of the spine. Housed in a custom half morocco clamshell box.